We hope you are having a great week! As the weather in North Texas becomes cooler, my mind wanders to the ice-filled weather we have each year. This weather will usually feature ice, snow, and very cold weather. A few years ago, we had a rolling blackout conservation warning during the coldest day of the year. Since then, I've always been prepared with candles, flashlights (with batteries), hand crank flashlights, and firewood. Firewood is always a hassle to carry from the outdoors to the indoors because it causes a large mess on the floor of our home. 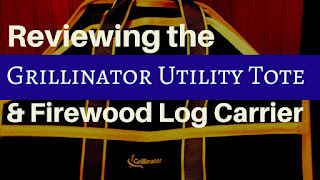 Recently, we discovered the Grillinator Utility Tote & Firewood Log Carrier on Amazon. It has padded handles, full enclosed construction, is made from premium experiences, has a self standing design and is oversized. 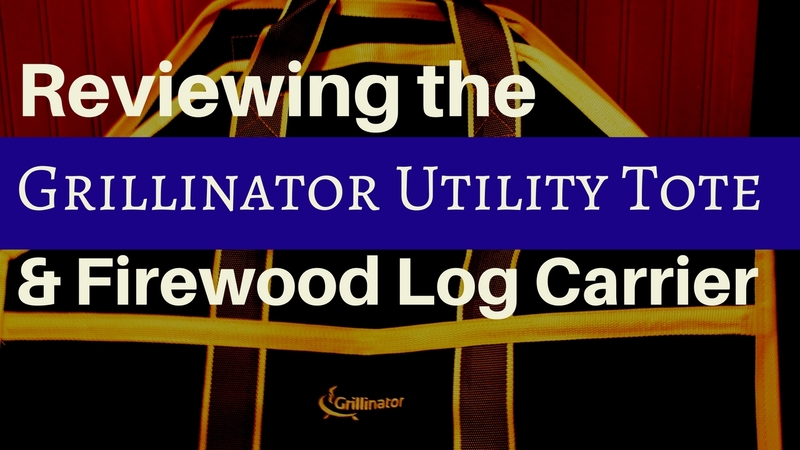 The Grillinator Utility Tote & Firewood Log Carrier is great for transporting firewood from the outdoors to the indoors or transporting mulch from one part of your yard to another section. In fact, this tote has a variety of different uses. We plan to purchase another one to store in our car for toys and other delights that we find rolling around in the back of our car!